Mongolian metallurgical coal explorer and infrastructure company, Aspire Mining Limited (ASX: AKM, the company or Aspire), is pleased to announce that it has received an Expression of Interest (“EOI”) to fund a modular Coal Handling and Processing Plant (“CHP”) proposed to be established at the Nuurstei Coking Coal Project (Nuurstei Project) mine. The EOI is from ODDO BHF, a German private bank and financial services group. Whilst the terms and conditions are to be negotiated and approved following final confirmation of the economic feasibility of the Nuurstei Project, the funding would likely be done under Hermes Fund cover. 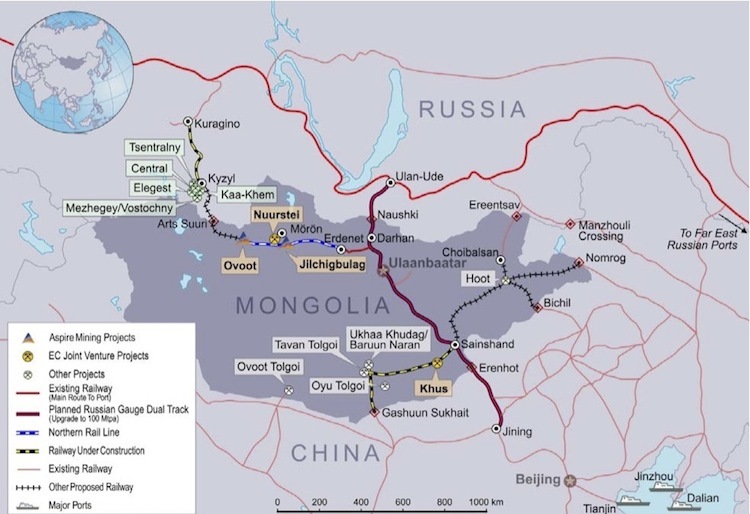 The Hermes Fund is a German Government backed export credit agency which has been involved in a number of substantial financings in Mongolia over recent years. To also assist in the funding of the Nuurstei Project development and fresh from signing an offtake agreement for Nuurstei Project product, the Noble Group has confirmed that it will assist mine development funding using trade based funding opportunities including arranging coal pre-sales. The ECJV owns 90% of the Nuurstei Project. The ECJV is 50% owned by Aspire and 50% by Noble Group with Aspire having the right to 30 June 2017 to acquire the Noble Group interest for US$1 million and a future royalty. On 19 April 2017 the Company announced that it had received a conceptual mine plan for the Nuurstei Project which confirmed its near term potential based on trucking coal to the nearest rail head. Subject to funding, a US$1.5m drilling and sampling programme is planned to confirm assumptions used in the Conceptual Mine Plan and provide the basis for a Feasibility Study and a development decision. Aspire’s Managing Director, Mr David Paull, said that “there are a number of sources of funding for the Nuurstei Mine Development such as those highlighted in this announcement which will limit future dilution for shareholders in the event that the development of the Nuurstei Coking Coal Project proceeds”.